When in doubt, go for the blush hues! 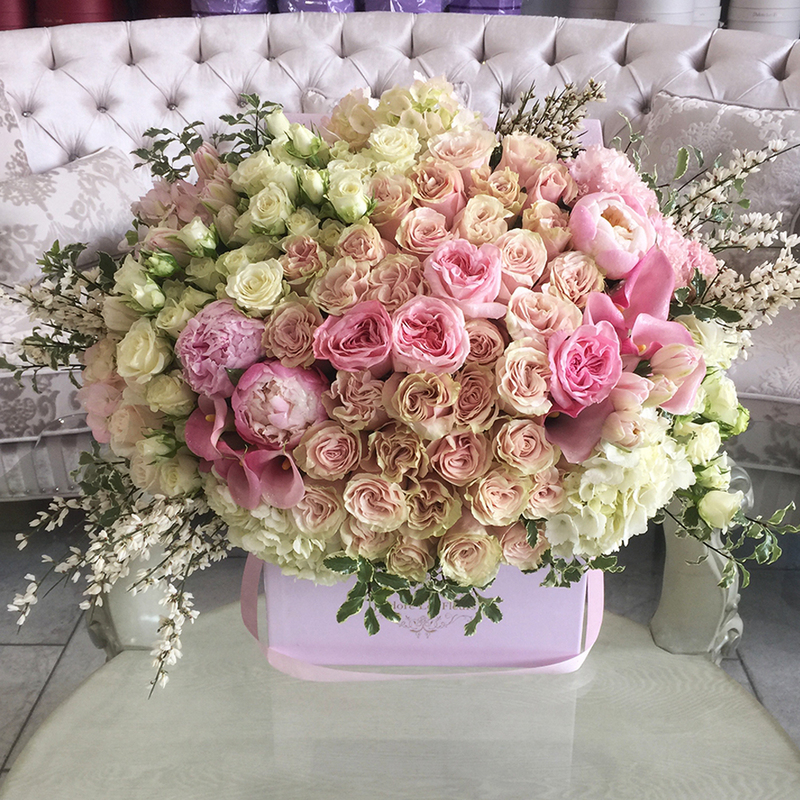 This stunning and lush arrangement is filled with the perfect blush roses, white spray roses, pink calla lilies, pink tulips, white hydrangeas and blush peonies. The arrangement in the photo is in a large square box.